Welcome to Beebe Dock & Mooring Systems LLC. Here is a little history on how the business came to be what it is today. Bruce C. Beebe the owner of Beebe Dock and Mooring Systems LLC, has been constructing docks and fabricating mooring systems for over twenty five years. Beebe Dock and Mooring Systems also offer complete maintenance and storage services for docks and mooring systems. Please call us to discuss your water access needs. Beebe Dock & Mooring Systems LLC. was created from Beebe Marine in 2005, with the following vision; “to provide easy access to the water, via a dock system that compliments the property”. This has allowed us to focus on the client’s desires, and over the years, build unique, custom residential and commercial floating docks. Whether the project is to rebuild an existing pier, or installation of a new dock system, we take great pride in all our projects. Our client’s satisfaction is important to us and we strive to exceed your expectations. Thus we take every measure to be considerate of your property, and adjacent neighbors, while on the work site. Please let us know how we can help you obtain access to the water. 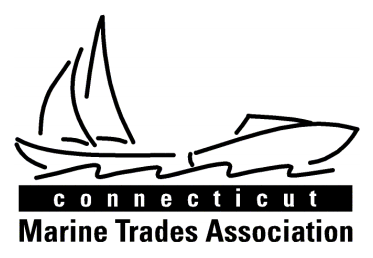 The Connecticut Marine Trades Association.